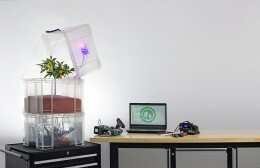 Plants & Machines is designing 21st century tools for food production. plants & machines develops fully automated greenhouses for indoor gardening and urban farming applications. Therefore they combine modern control technology, innovative growing methods and machine learning to a robotic ecosystem.